THE proposed budget for the next financial year targets to grow the economy by 5.7pc from 4.7pc this year, hoping the fixed investment to increase at a handsome rate of just over 16pc. If the plan works out according to Ishaq Dar’s script, the overall investment to GDP (gross domestic product) ratio will rise to a respectable 17.7pc next year from 15.21pc this fiscal. But many businessmen and economic experts remain skeptic. 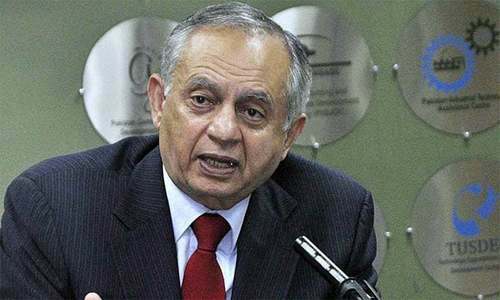 “The business confidence has indeed improved significantly over the last one year on improvements in macroeconomy and security conditions, historically low interest rates, and decreasing global oil prices,” said Ijaz A Mumtaz, former president of the Lahore Chamber of Commerce and Industry. “Private businesses do not appear to be in a mood to make new investments — at least in the short-term — because the budget doesn’t address their major concerns, including but not limited to overregulation of the industry, policy inconsistency, lack of tax and tariff reforms, bureaucratic impediments, etc,” he contended. The investment as a ratio of GDP rose to 15.21pc during the current fiscal as total investment reached Rs4502bn from Rs4256bn last year, showing a growth of 5.78pc, according to the Economic Survey of Pakistan. The fixed investment grew to Rs4028bn, up by 5.57pc from Rs3816bn a year ago. The fixed investment as percentage of GDP stood at 13.61pc. Private investment recorded a growth of 3.71pc to reach 9.79pc of GDP while public investment jumped by 10.63pc to rise to 3.82pc of GDP from 3.72pc. The net foreign direct investment during the first 10 months of the present fiscal stood at $1bn. The growth target of 5.5pc for the outgoing year is missed by a wide margin as the economy expanded by 4.7pc due mainly to 0.19pc contraction in agriculture as cotton crop failure shaved half a percentage point off the GDP. The new budget projects agriculture to grow by 3.5pc, industry by 7.7pc and services by 5.7pc next year to help government achieve growth target. The experts, nevertheless, warn that the targets will be difficult if not impossible to achieve because of lack of appetite for new investment and unless structural issues facing the economy are addressed. 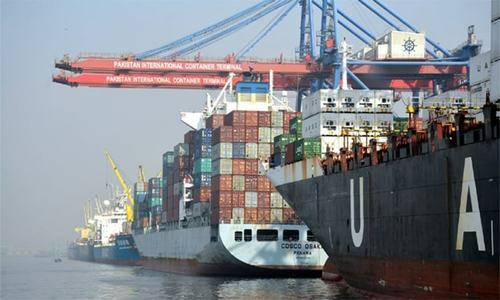 “The economy’s capacity to create new jobs is weakening because the government has not been able to address the structural issues affecting trade and competitiveness of our exports, infrastructure bottlenecks, narrow tax base, etc.” argued Ali Salman, executive director at Policy Research Institute of Market Economy. For example, he pointed out, an effective, efficient and equitable tax system or lack of it directly impacts on investment decisions. “The government may have significantly increased its tax revenue over time through indirect, regressive taxes but the number of filers has more than halved during the last one decade from 2m in 2006. “It means that our tax system is putting a burden on the existing taxpayers and encouraging businesses to work outside the documented economy. This is a sign of no confidence on the country’s tax policy, and no one should blame businessmen for not making investment in industry. Unless these issues are addressed effectively, I do not see new investment coming into the economy in a big way. “Growth will continue to elude us at the cost of jobs and poverty,” he concluded. The Economic Survey shows that credit for fixed investment grew by 78pc to over Rs150bn from Rs84.40bn during the current year with expansion recorded in the sugar, fertilisers, pharmaceutical, telecom power, cement and chemical sectors. He was appreciative of the government decision to revive zero-rating (no tax, no refund) regime for the textiles (as well as leather, sports goods, carpets and surgical instruments) as it will restore the industry’s viability and help it become competitive in the international markets. But he warned that the industry will not make new investments unless this decision is implemented without any ‘ifs and buts’, and all local taxes and levies like GIDC on gas, surcharge on electricity, , etc, which form almost 9pc of the industry’s turnover are also refunded to make exports truly zero-rated. The ultimate outcome of the budget for 2016-17 will be disastrous - nothing in it for the common people.....industry will be suffering; govt has imposed WH tax on banks withdrawals; govt insisting on filers and non filers which is quite a strange phenomena. To me it looks dismal budget; it will increase the cost of living and people will suffer.